Cecil has extensive experience as a senior business leader in the global oil and gas industry and has worked in the manufacturing of coil and drilling equipment for more than 20 years. Companies he has worked for include Nabors Drilling, NOV and Technicoil Corporation. Previous roles include Leadhand, Foreman, Customer Service Manager and Head of Product and Maintenance Development. He has skills in manufacturing oil and gas stimulation and intervention equipment, operations management, heavy equipment, and pump system designs. Cecil has journeyman red seal Millwright status and is a class 4 power engineer. Cecil founded Coil Solutions in 2007 to address a gap in the oil and gas industry for high quality, bespoke and reliable services and products. Under Cecil’s leadership, Coil Solutions has become a well-respected industry leader. Building on the growth and success of CSI, Cecil established Ranglar Manufacturing in 2016, to take forward the custom-built surface machinery arm of the company. 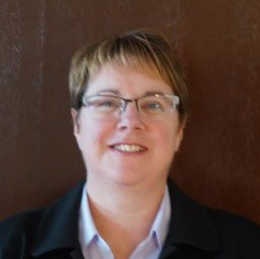 Co-founder of Coil Solutions, Charlene has over 25 years’ experience in accounting within an operational environment. Previously, Charlene headed up the three Accounting Departments for Wahl Construction, Wahl Holdings & Wahl Builders simultaneously. Charlene manages and leads the Accounts Department and is responsible for ensuring that CSI meets all federal and provincial accounting regulations. Co-Founder of Coil Solutions, Bryan has been working within the oil and gas sector for 14 years. For the last 10 years, Bryan has headed up the operational arm of Coil Solutions, ensuring Coil’s clients repeatedly receive high quality components and machinery. Bryan’s career at Coil started by delivering service and recertification of high-pressure iron for customers. Since then, Bryan has continued to expand his experience and portfolio. 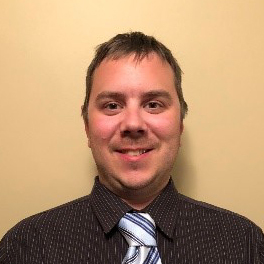 For the last 6 years, Bryan has been responsible for overseeing all three manufacturing operations for Coil Solutions injectors and downhole tool divisions in Canada. 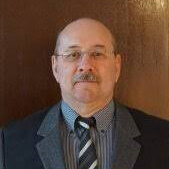 Robert has been working in the Oil and Gas Industry since 1997, developing coil tubing surface and downhole tools. Over the past 20 years Robert has been involved with some of the industry’s leading companies. These include Progressive Technology (Coil Tubing Surface and Downhole Tool Sales/ Research and Development) and National Oilwell (Coil Tubing Downhole Tool Sales/Canadian Account Manager). Robert joined Coil Solutions Inc. in 2010. He used his experience and knowledge to develop a line of leading edge Coil Tubing Surface and Downhole Tools. These have been designed to help the Coil Tubing Industry take the next step in reliable, easily serviced and robust equipment. Robert is passionate about product research and development and a driving force in innovation in our downhole tools. 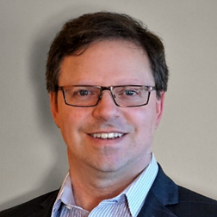 Robert likes to work in partnership with our clients to develop innovative custom tools for practical application to deal with specific challenges. He also helps clients to adapt their processes to improve equipment and project efficiencies. Ken holds over 20 years of proven success as a business strategist. He is an expert in driving revenue growth, accelerating employee performance, and innovating and maximizing shareholder value. Ken joined CSI in March 2014, after consulting for us along with other early stage companies in the oil and gas industry. His prior experience includes Corporate Banking, BMO Bank of Montreal; VP and Regional Director Harris Private Bank for the Prairies Region (Ab, Sk, Man); and District VP for Saskatchewan, and Bank of Montreal (BMO), where he was responsible for 30 branches, 400 employees and managed $2 Billion in assets. 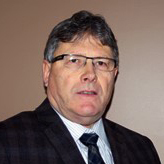 Ken is a Certified Financial Planner, with FPSC Registered Candidate status. He also holds an FICB, Professional Banking Designation, from the Institute of Canadian Bankers. His visionary approach has enabled Coil to establish itself as a key service delivery provider for major oil and gas clients.